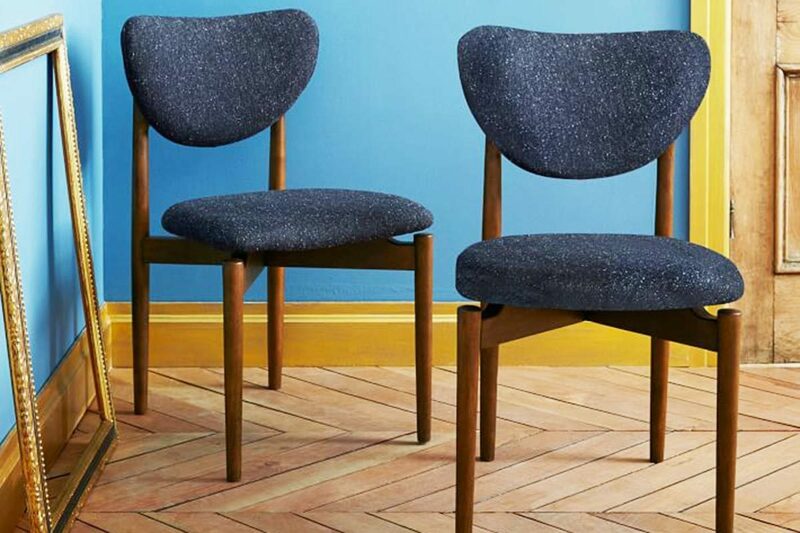 A throwback to mid-century Danish design, the Dane Dining Chairs exude extreme quality. These chairs have the power to raise the aesthetic level of any room they adorn. Solid wood backing and legs with a selection of durable upholstery options ensure this chair can stay with you and your family for years. 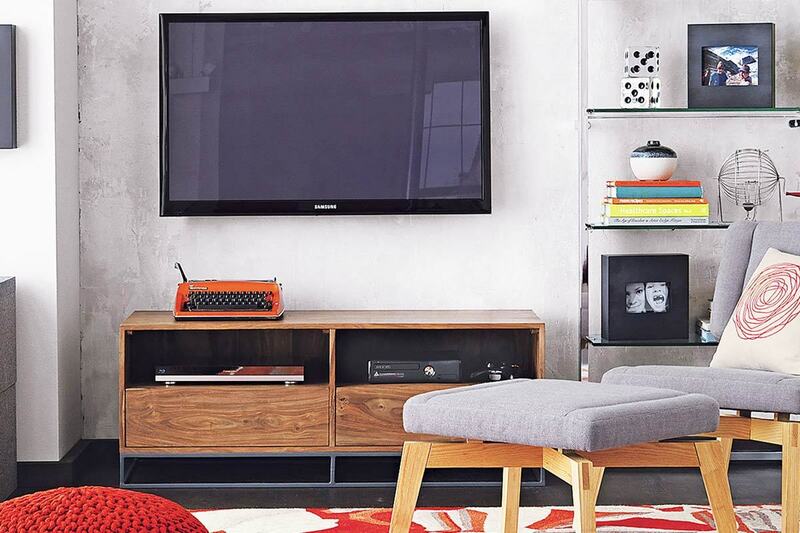 You can order these from West Elm for $299. 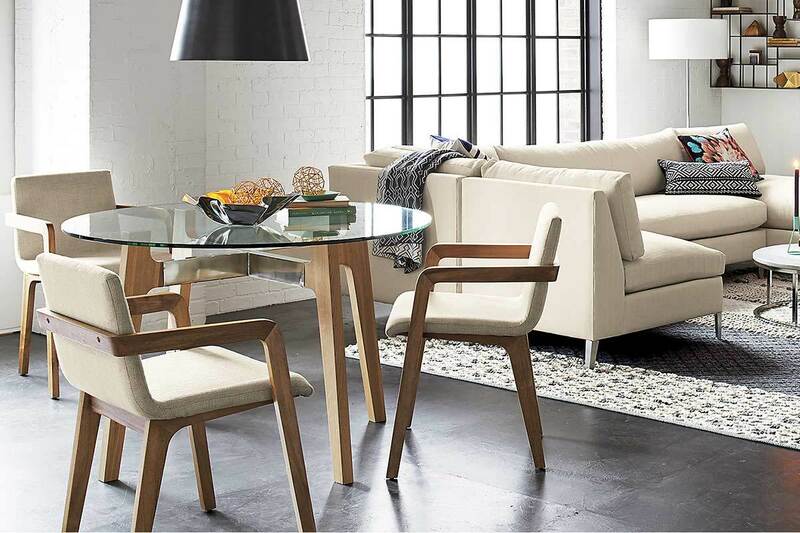 With a 360 degree swivel the Harvey Chair makes a strong argument for why it belongs in your home. 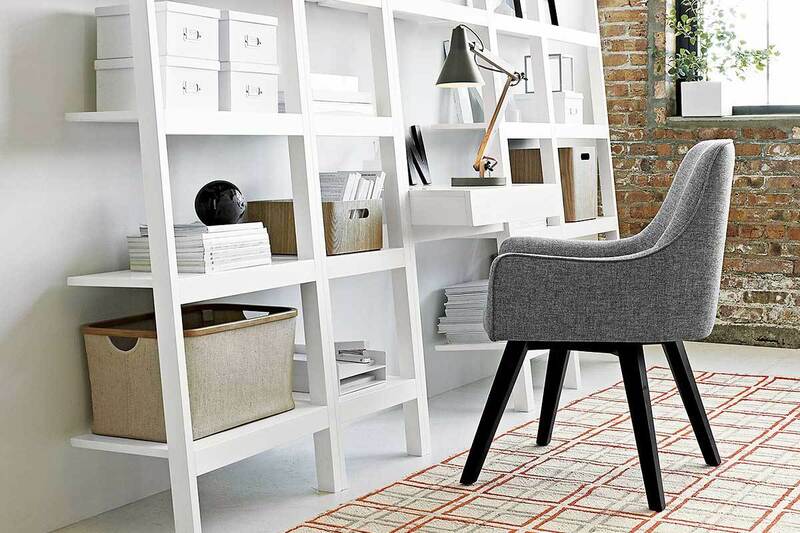 It can play the role of desk chair, dining chair or accent chair without missing a beat. You can pick up the Harvey Chair from Crate & Barrel for $399. 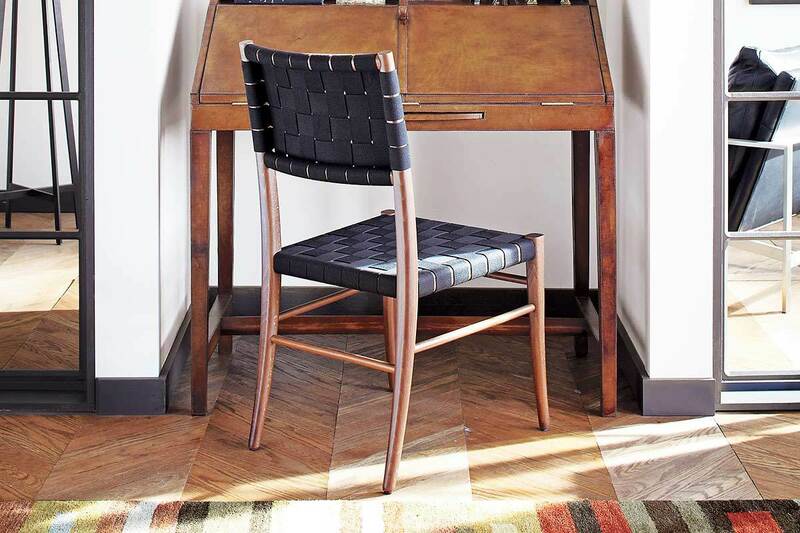 That's a full hundred more than the Dane Dining Chair but one has to admit this chair is a bit of a hero- and bound to be a hit with annoying friends who enjoy spinning around on desk chairs! The versatility of the Harvey makes it easy to pair with one of these industrial style desks as well as a dining table. 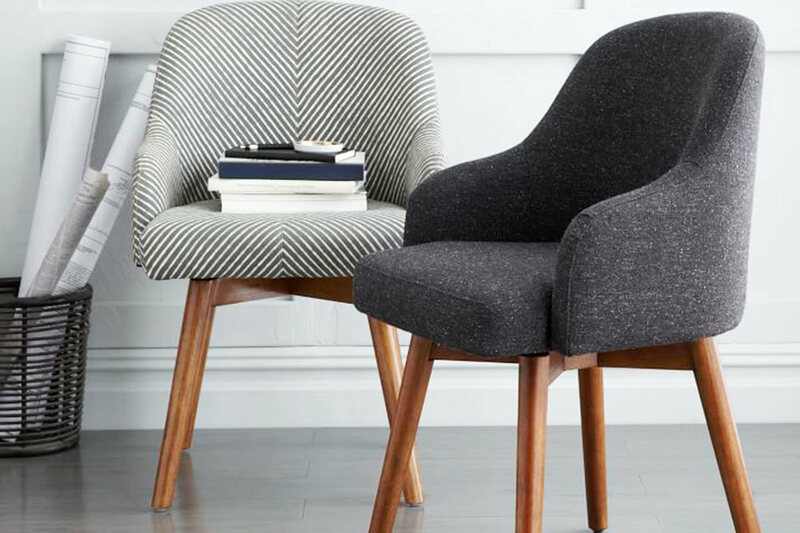 Few accent chairs of this quality come at this price. The Austin Chair can be ordered from CB2 for $249 and with that you get a chair that could last a lifetime (if well maintained). This chair's construction is something to marvel at. The cushion seems to float atop the solid wood frame and the slight waterfall at the knee makes it practical for dining or lounging. These chairs can easily grab the spotlight from an old dull couch you don't feel like retiring just yet. Just slightly cheaper than Pottery Barn's Harvey Chair, the Saddle Office Chairs offer a slightly chicer acorn wood finish and a variety of upholstery options (including top grain leather). You can order one of these from West Elm for $349 and swivel just like you would on the Harvey. 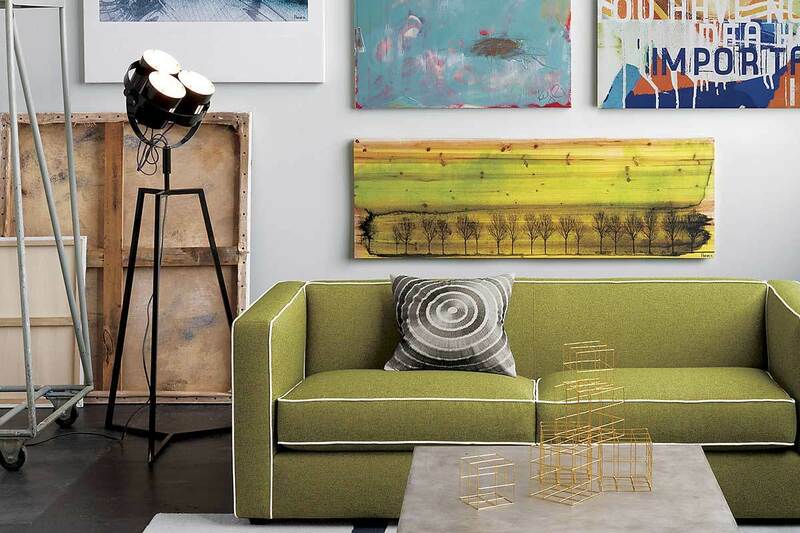 With some of the funky pattern options West Elm offers you can really get creative when livening up your space. The Oslo Black Side Chair is an exercise in subtle quality and based off one of the most classic Scandinavian designs to grace American homes. Made in Italy out of beechwood (stained to look like walnut) and heavy black cotton weaving mean that this chair is of good durable quality but is also light and practical. 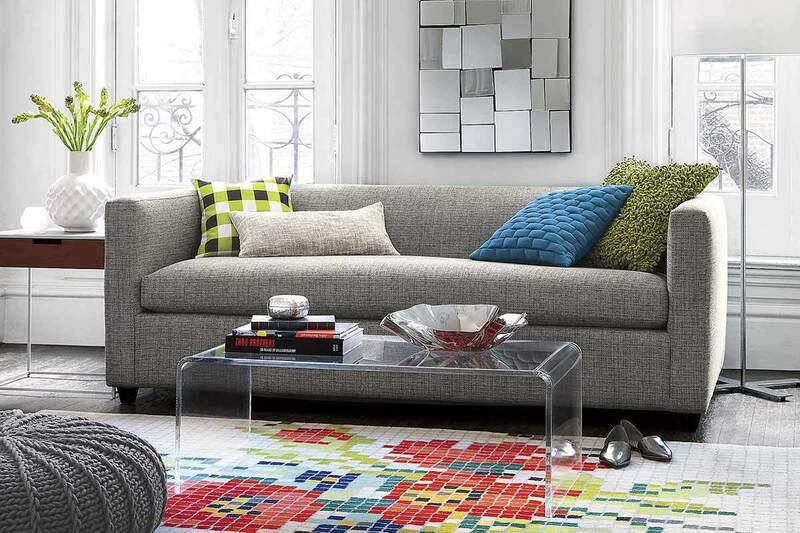 For $329 from Crate & Barrel you can introduce a classic piece of art into your living room.